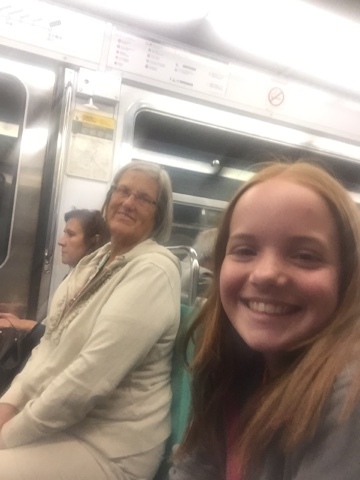 It's about a 30-minute Metro ride and there we were. 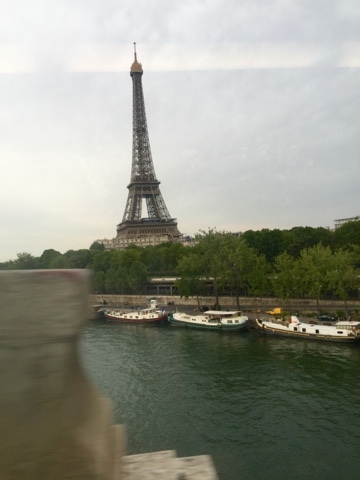 We even caught a glimpse of the Tour Eiffel as we rode. 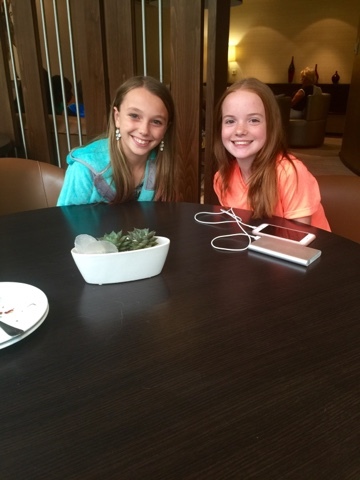 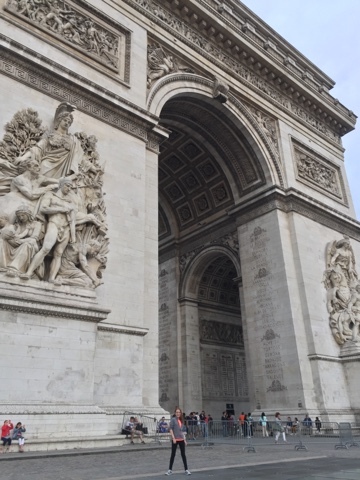 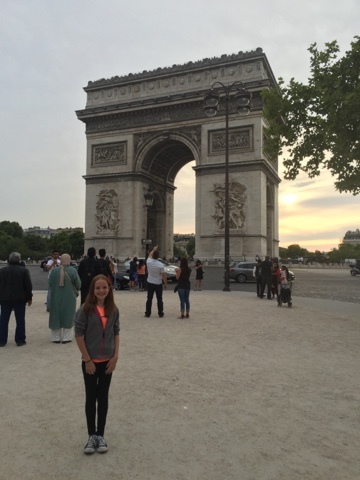 Avery and a gymnastics friend, Samena discovered they were both visiting Paris this summer. 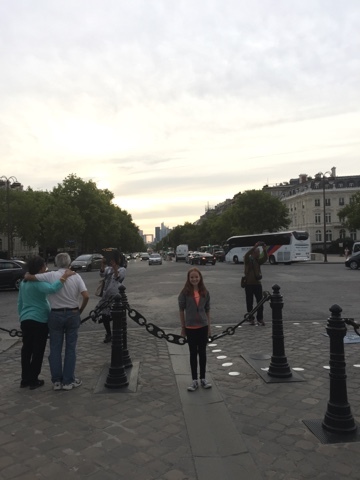 They then discovered that, out of 1,792 Paris hotels currently reviewed by Trip Advisor, they were staying in the same hotel with one overlapping night - Friday night. 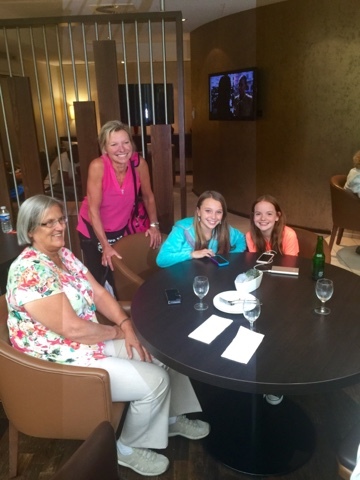 So they got together in the lounge to say hello. 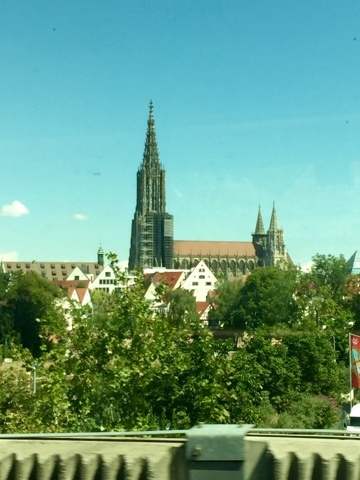 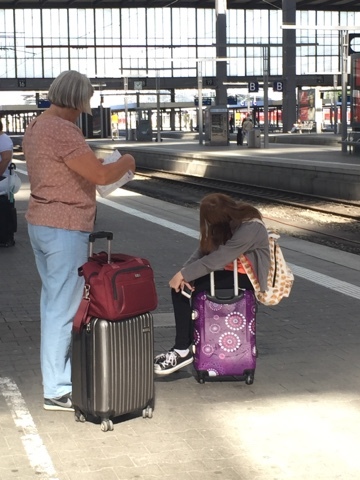 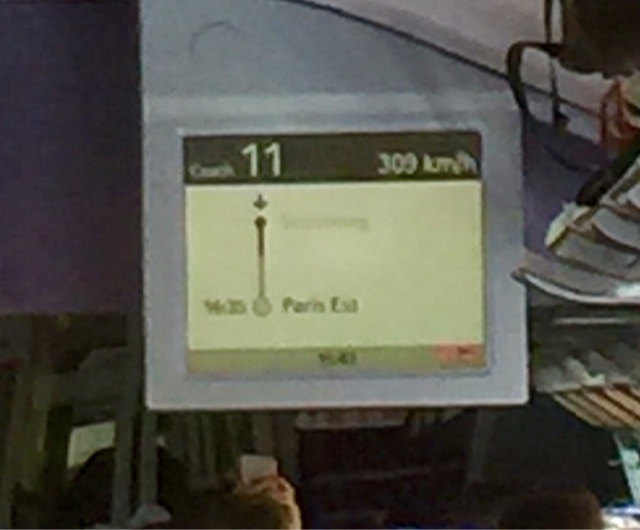 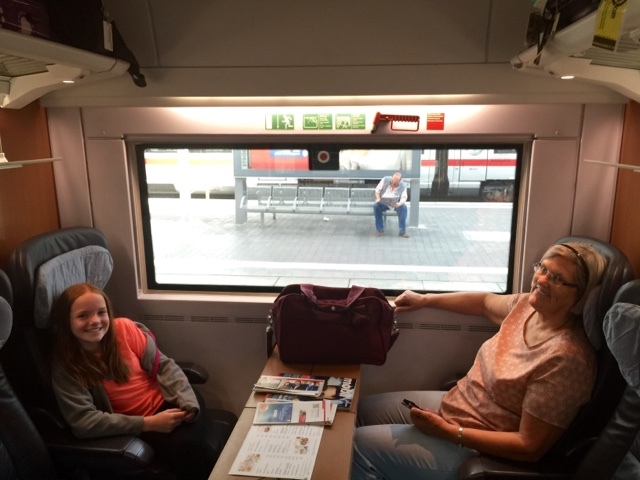 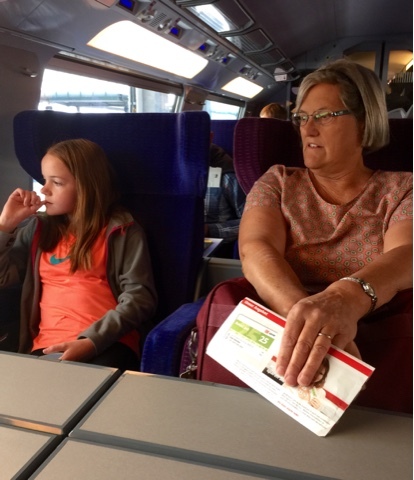 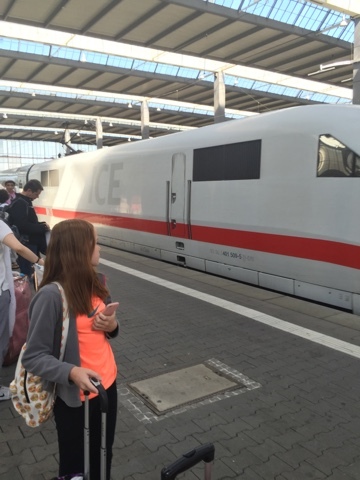 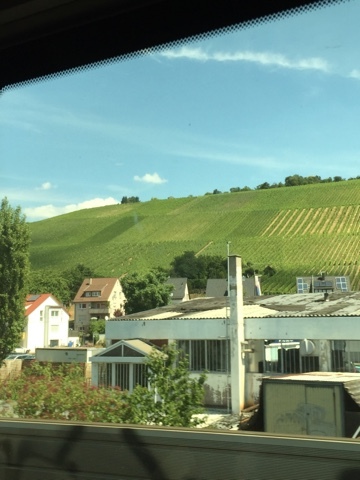 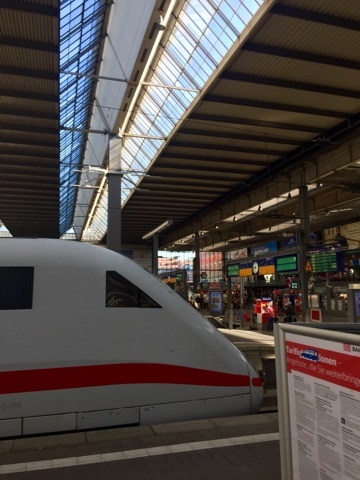 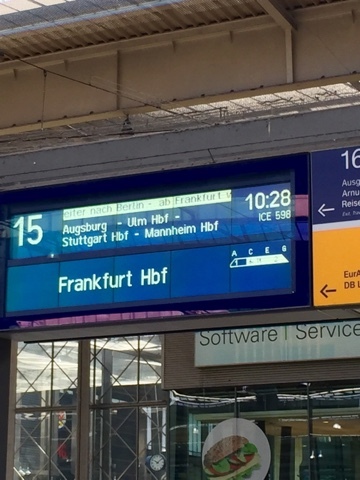 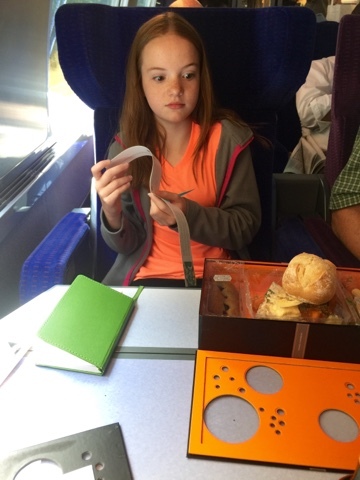 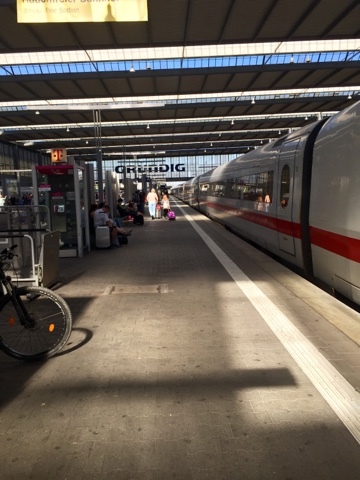 DB from Munich to Stuttgart and a TGV onward (with a scarily tight eight-minute connection from one platform to another) with a meal at our seats and speeds up to 180 miles per hour. 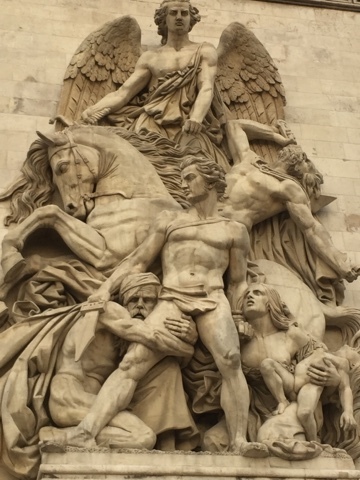 We're here. 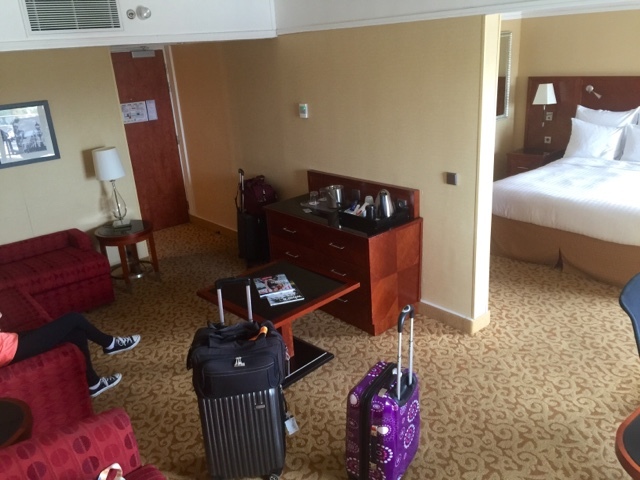 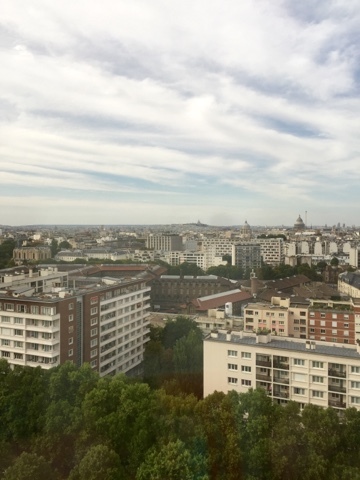 We got lost once or twice on the way but were rewarded with a junior suite on the top floor with fabulous views, even without the Eiffel Tower. 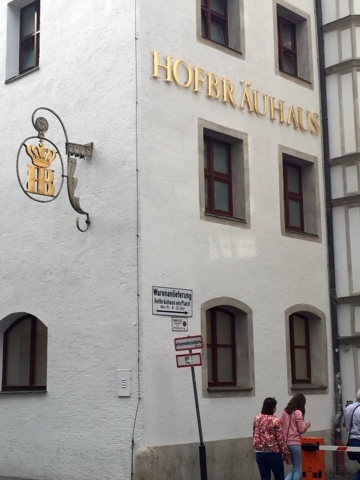 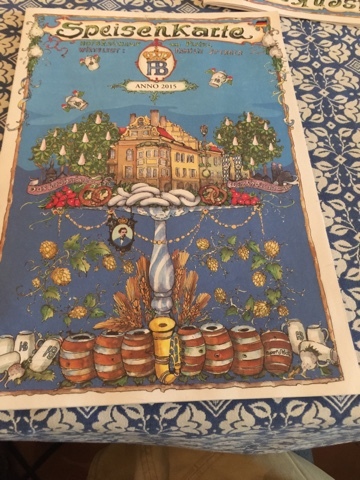 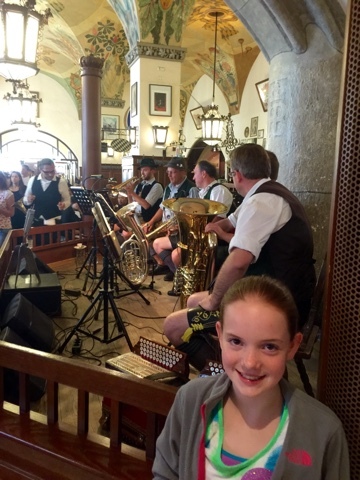 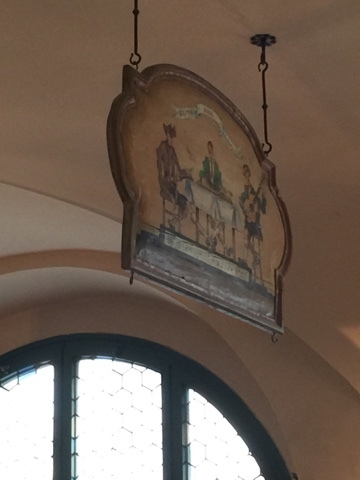 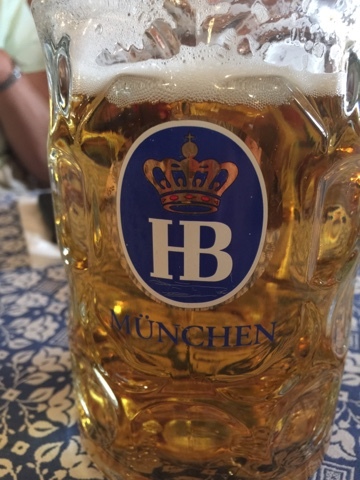 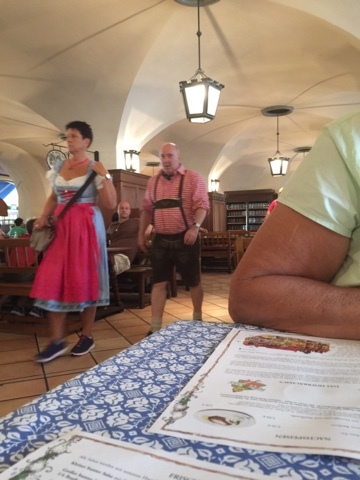 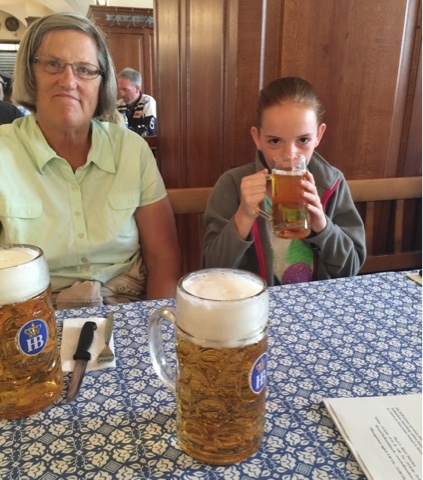 What better place to take a granddaughter - the most famous beer hall in the world - and let her drink Apfel Saft (apple juice) out of a beer mug on our final night in Germany. 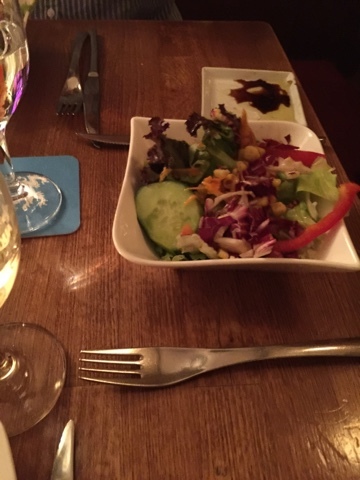 We've found the food here to be not bad and reasonably priced for the setting. 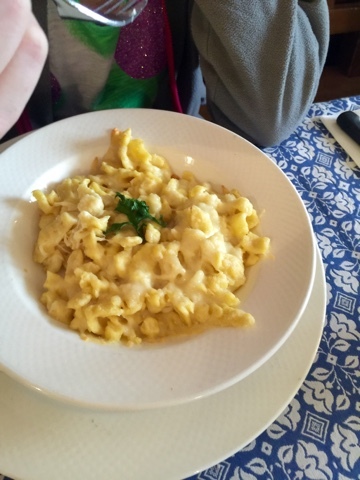 Avery wasn't too enamored of the Spätzle. 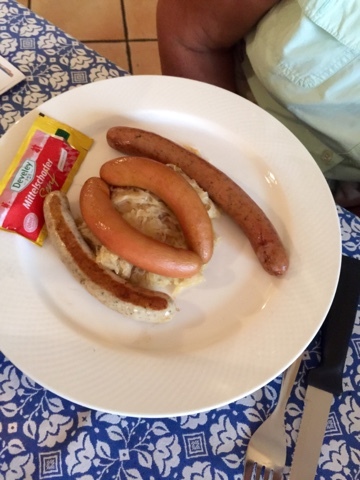 Kathy enjoyed this combination plate. 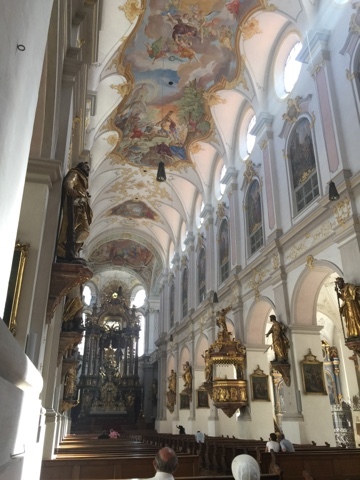 We stop briefly at St. Peter's Church to admire the light and airy interior. 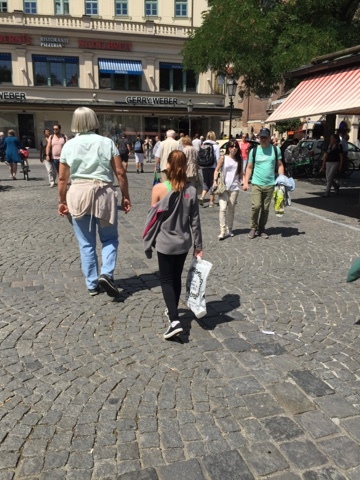 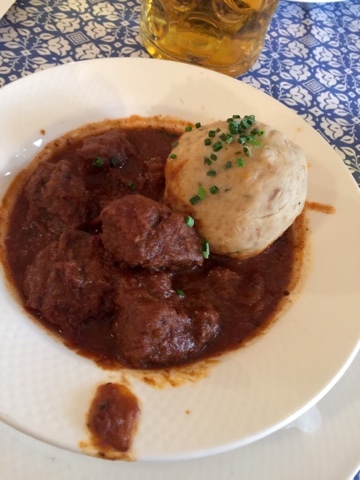 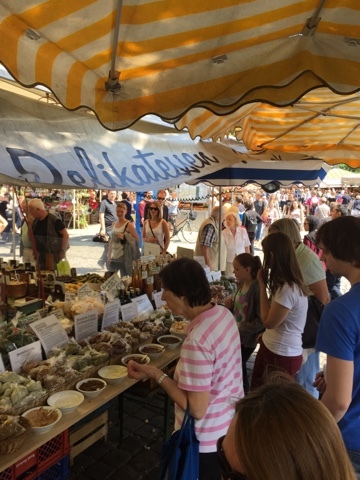 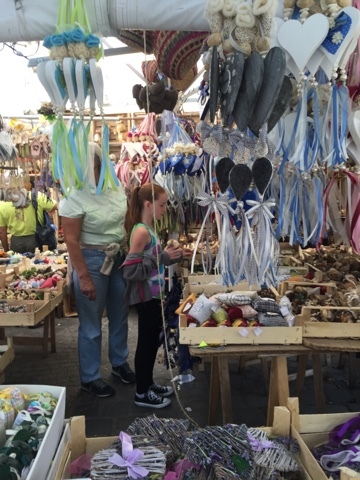 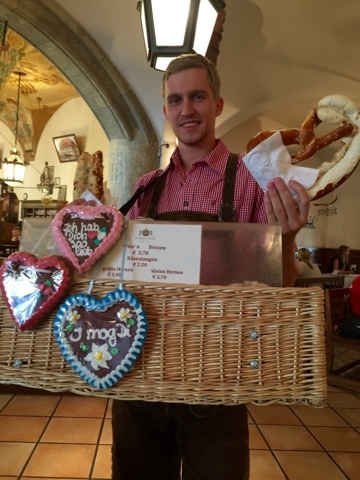 It's time for a little shopping expedition at the Viktualienmarkt, the "Vittles Market" ("victuals") if you insist. 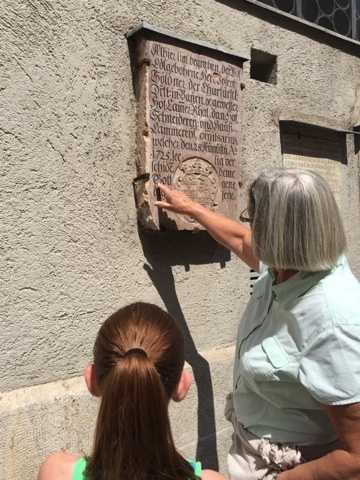 Shopping done, we head back toward the U-Bahn station but stop to look at this plaque printed in the old German alphabet. 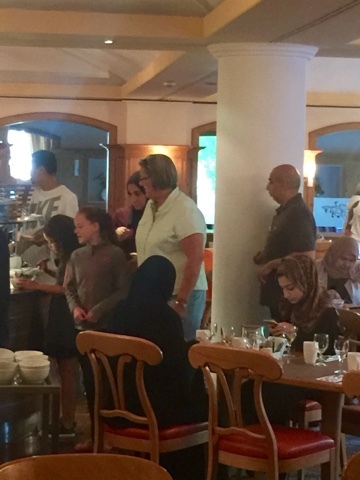 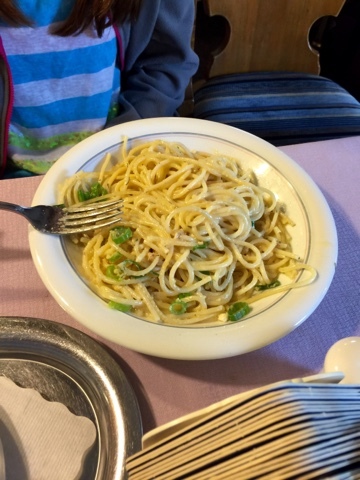 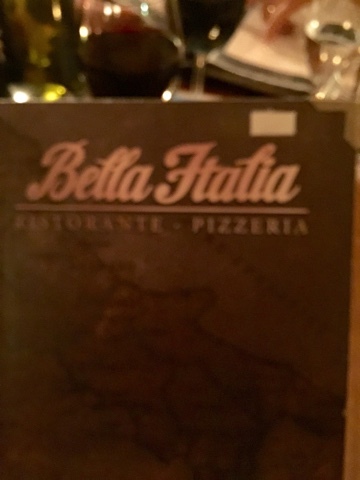 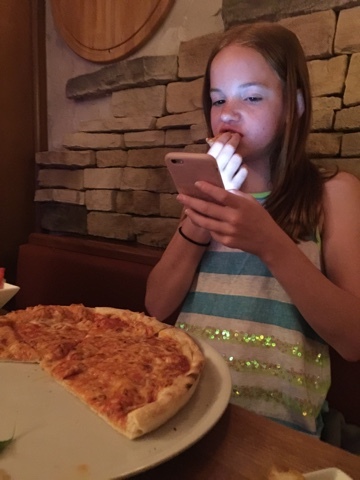 Based on the recommendation of a very nice American we met in the Executive Lounge, we enjoyed another Italian dinner at a cute little nearby restaurant. 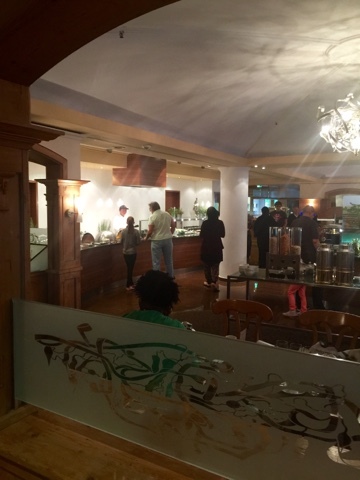 We still really like this hotel, and we enjoy their breakfast buffet. 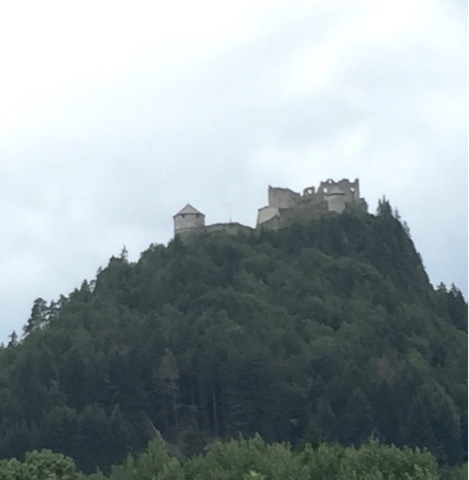 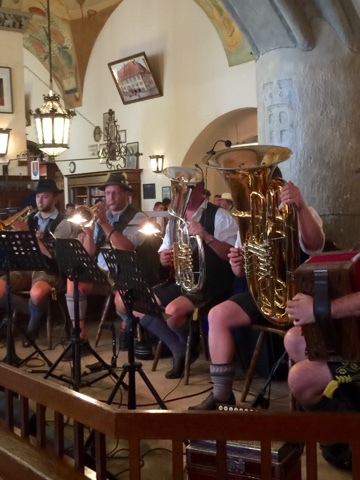 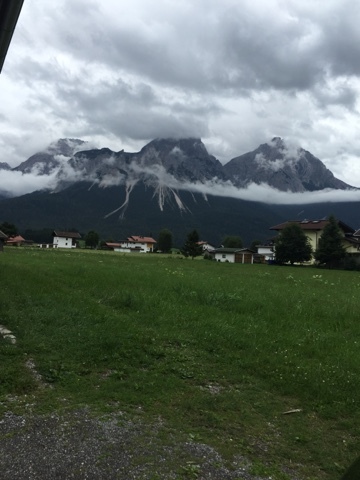 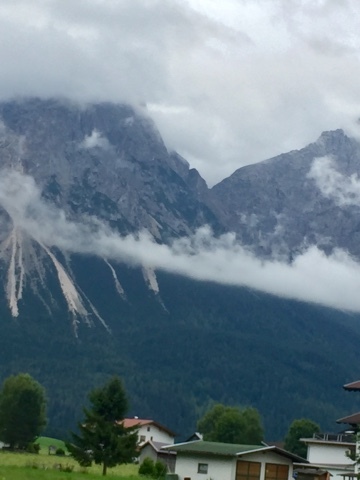 We headed toward the Zugspitze, but it was too rainy, cool, and cloudy to make a 100-Euro gondola ride seem attractive. 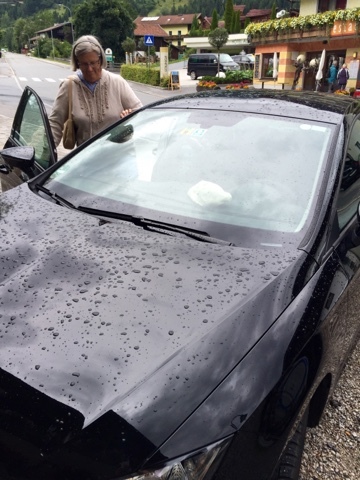 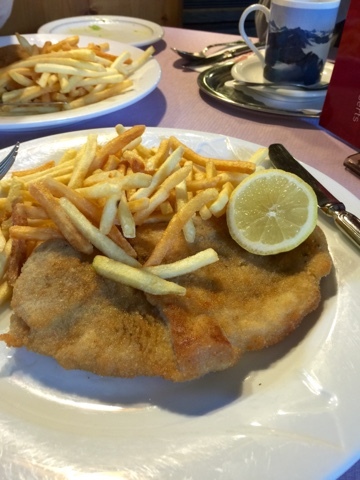 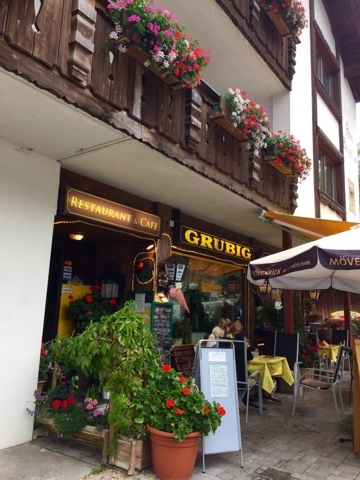 Instead, once in Austria we stopped at a cute little joint in Lermoos for lunch, before climbing back into our Spanish-made Seat rental car for the drive back to Munich. 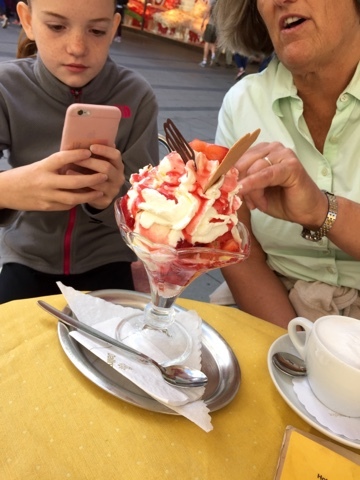 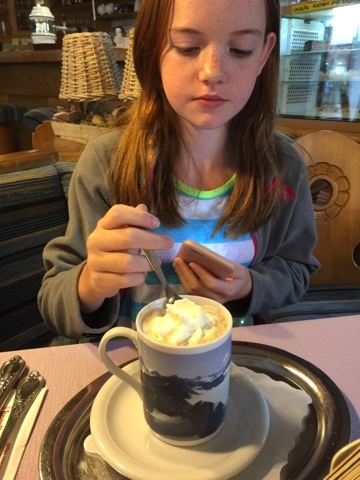 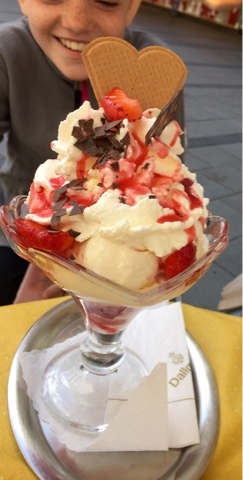 We enjoyed the views of the Austrian Alps along the way and Avery got to try Austrian hot chocolate mit Schlagobers (whipped cream).